Using APC (Alternative PHP Cache) to speed up a slow MediaWiki install is a good idea. A quick before and after study of the performance gain from APC using Apache ab resulted in pages being served 4 times faster (from 328ms mean load time to 82ms, number of pages loaded in 20 seconds went from 123 to 485). Needless to say, a 400% improvement in performance for serving a MediaWiki multi-language pooled resource site, simply by installing APC to cache PHP intermediate code, is a very welcome change. Not to mention the easing of CPU and IO resources on our Xen virtualized Ubuntu 6.06 server so that there are more cycles to spare for other processes (like Ruby and Ruby on Rails). 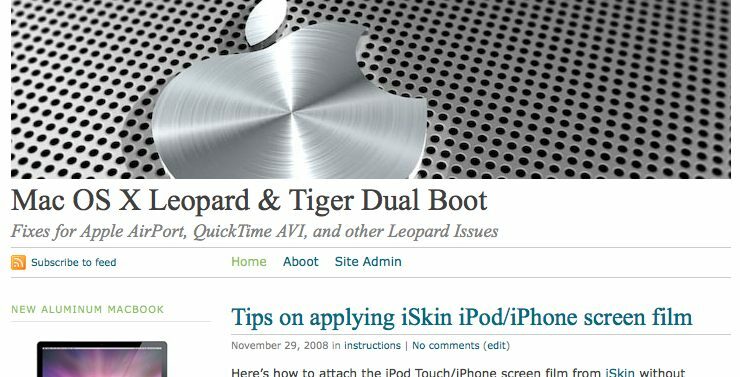 From its beginning of instructing others how to dual boot their Mac with Tiger and Leopard, InstallingCats.com has grown into a troubleshooting and solutions website for various Mac issues and applications. ParisByTrain.com fills a need for clear concise France train travel information, demanded by travelers and tourists. 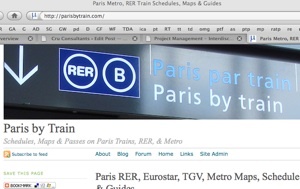 ParisByTrain.com must support sufficient traffic and visibility to make it viable in terms of costs and return. With limited man-hour resources, ParisByTrain.com requires publishing technology with minimal cost of setup & maintenance, providing a sufficiently powerful platform to meet the needs of search engine visibility & traffic while presenting information in an accessible format to the customer. If any one of these perspectives and requirements were left unmet, the project could have been a failure. Luckily, all three viewpoints were kept in mind during the planning and implementation of Paris By Train, thus giving it a better than average chance of success. And the three viewpoints don’t necessarily have to come from three different people or groups, as in the case of ParisByTrain.com being a one-man show. Cru Consultants develops and publishes in-house web applications for end-user consumers (general public) as well as business clients. 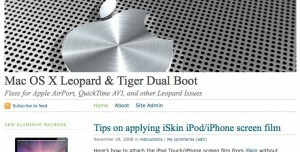 We’ll be posting updates, teasers, previews, announcements and launches from this site. Stay tuned and don’t hesitate to leave us a message or a comment.